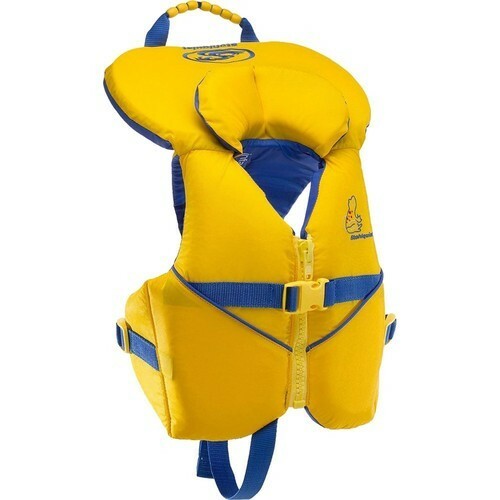 Enriched by our vast industrial experience in this business, we are involved in offering an enormous quality range of Advanced Infant Life jacket. For the first time the regulations demand the instigation of Infant Life jackets on-board community ships. The SVIMS Advanced Infant Life jacket fully complies with the regulations (IMO Regulations), which are mandatory for all life jackets used on-board Community ships.They are designed for use most weather conditions. It is also features lifting loop and orange buddy line for easy rescue. Furthermore, it is recommended to combine the life jacket with the compatable SVIMS Life jacket Light.